Never fails, year after year when we take the down the Christmas lights and pack away the decorations my porch looks bare. It looks boring and, well, naked and afraid. 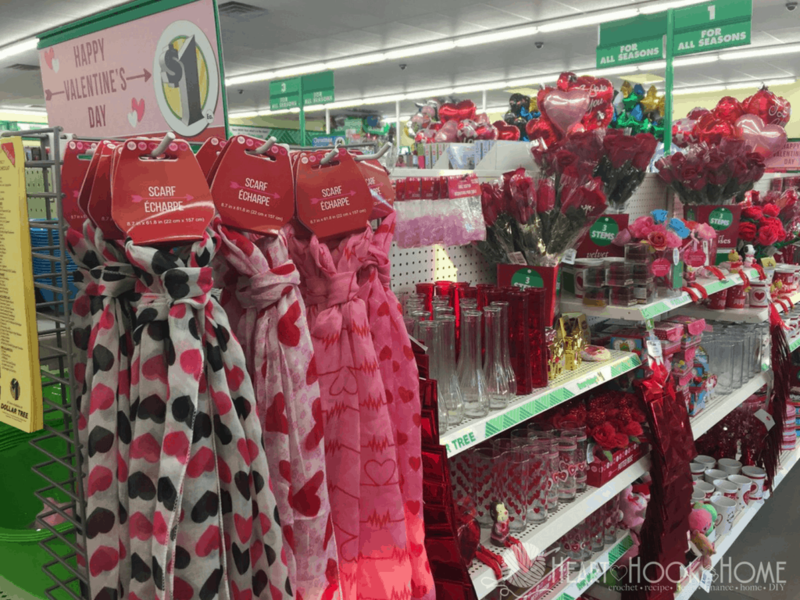 😉 The problem is that I have no Valentine’s Day wreath, nor do I have Valentine’s Day decorations. I typically skip decorating my porch for this holiday. Not this year! 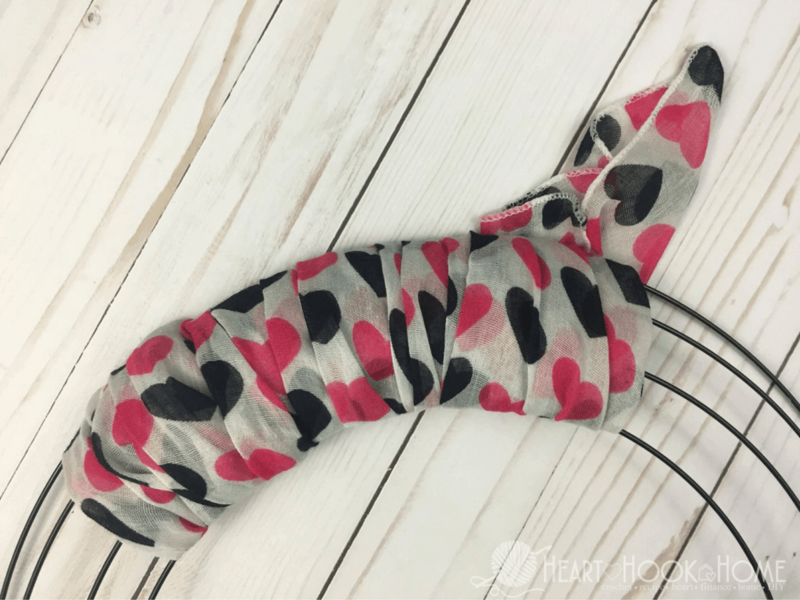 During a recent shopping trip to Dollar Tree looking for totally unrelated items, I ran across these super cute scarves. And just a buck?! I’ll take five please. 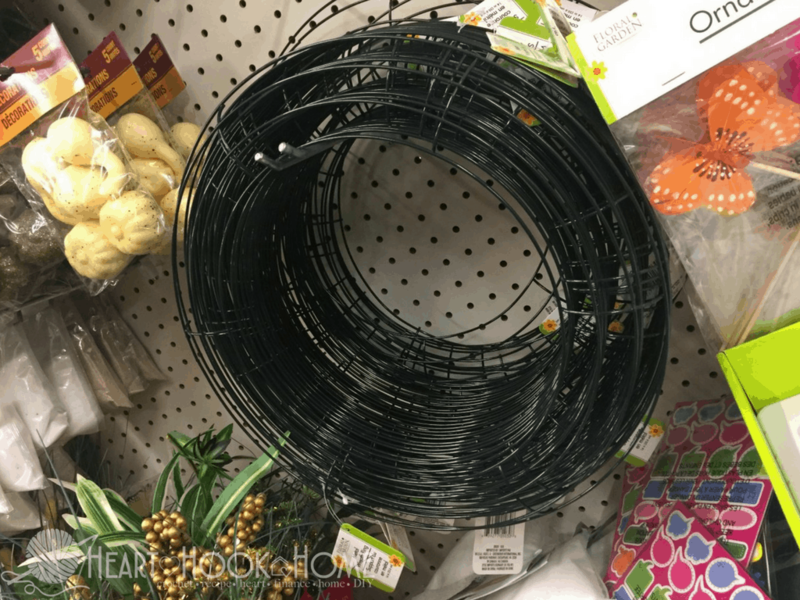 My creative juices began to stir, and since I know that Dollar Tree carries all kinds of craft items on the cheap, I meandered over to the craft aisle and found a wire wreath form for just a buck. What do we now have hanging on our front porch? 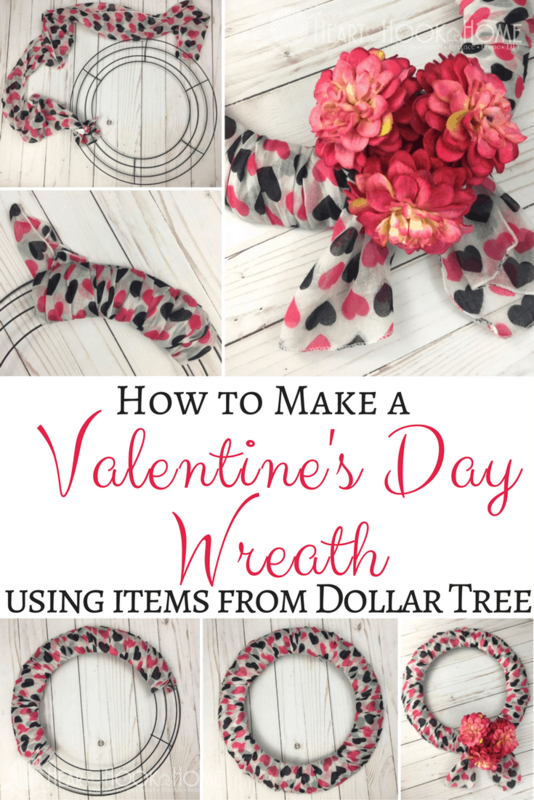 A super inexpensive, super easy, super chic Valentine’s Day wreath using Dollar Tree items. And now you can make one too! 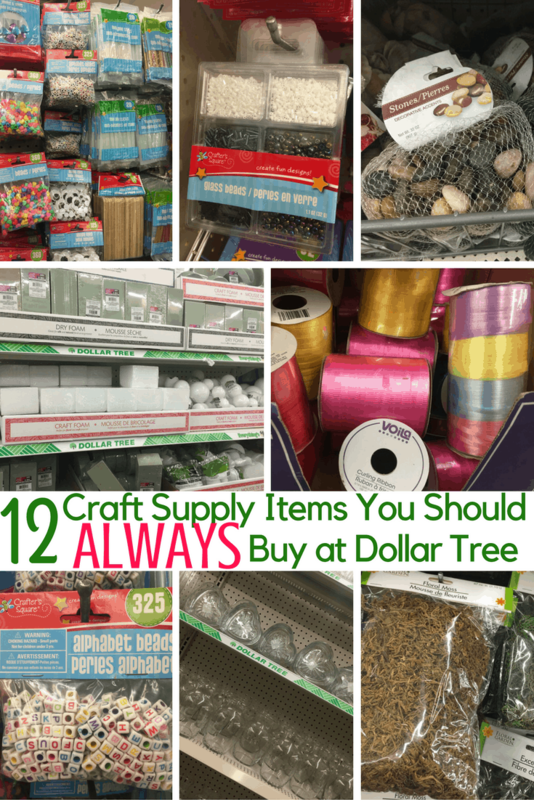 *you could use tulle instead! 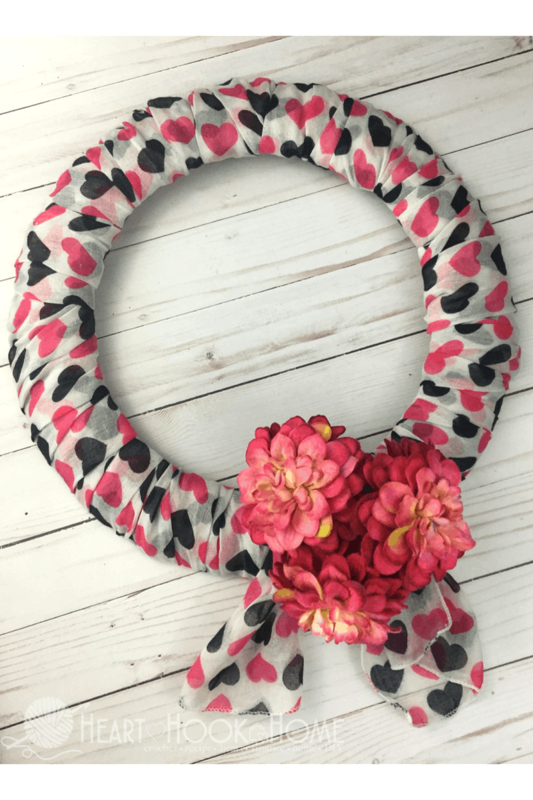 While you could use hot glue to keep the scarves from moving, you could also simply tie knots, tying the first to the wire wreath form. 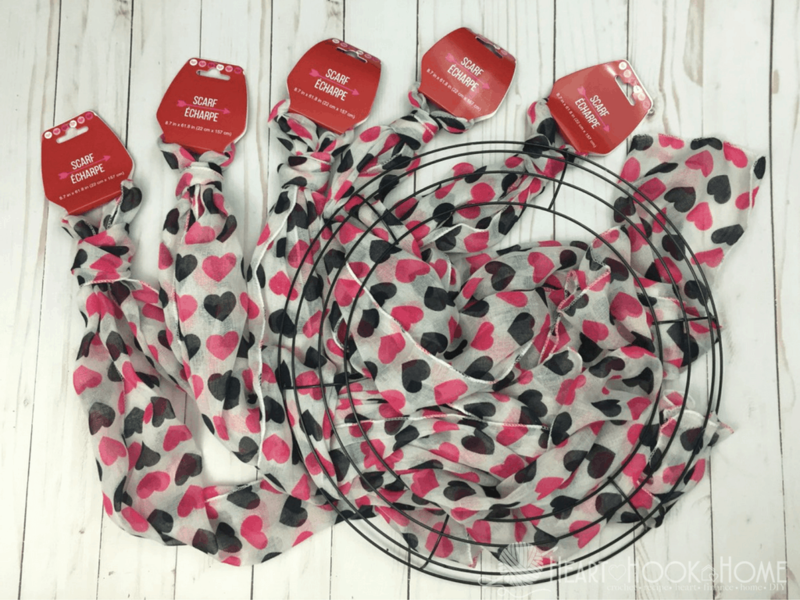 I chose to tie knots with mine so that if I ever decide to repurpose these scarves, I won’t have to cut them apart or throw them away entirely, I can simply wash them. 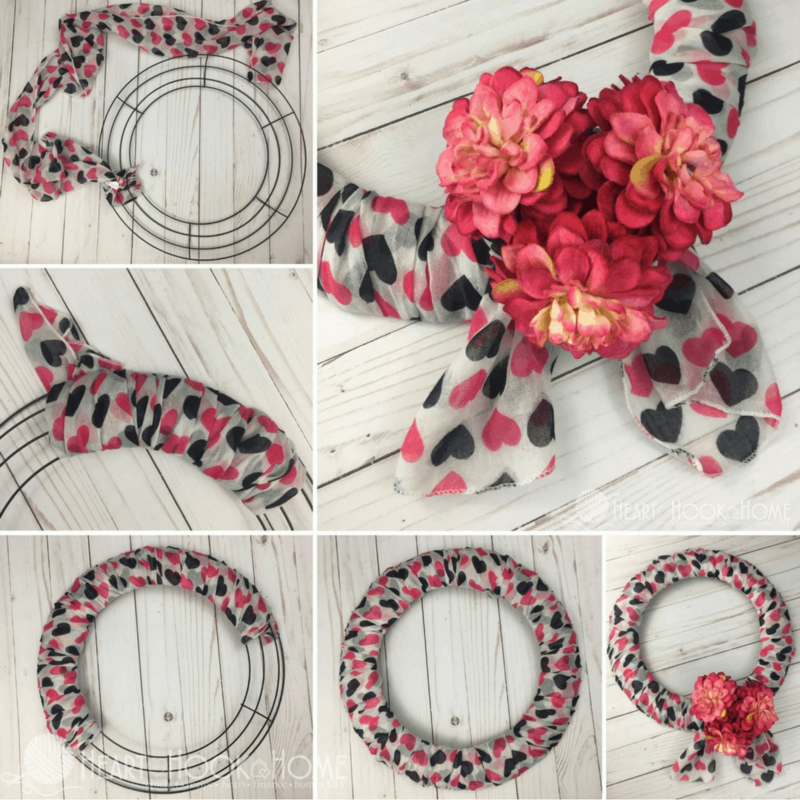 To start, begin wrapping the scarves around the wreath form, making sure that the pattern is all going in the same direction (i.e. 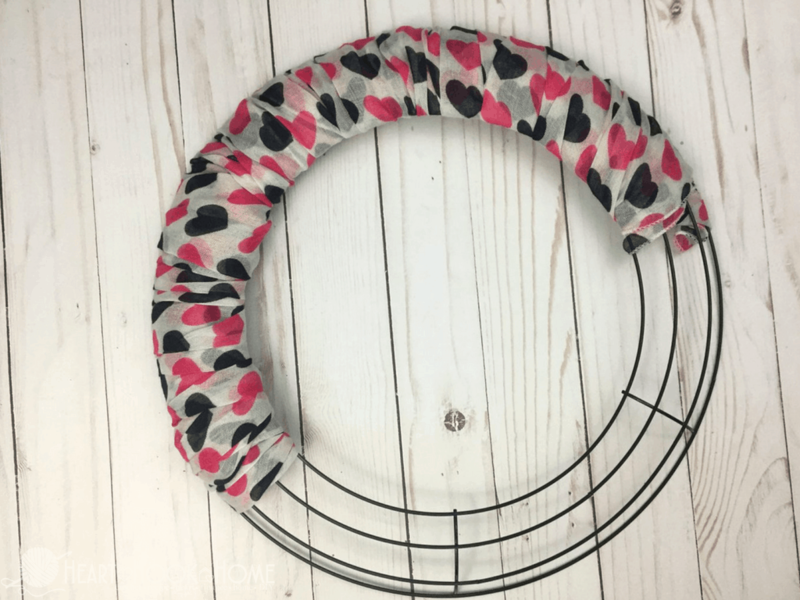 the hearts are all pointing in). When you’re finished wrapping one scarf, simply start with the next where that one left off. Keep wrapping until you have covered the entire form. I used four of the scarves for mine. 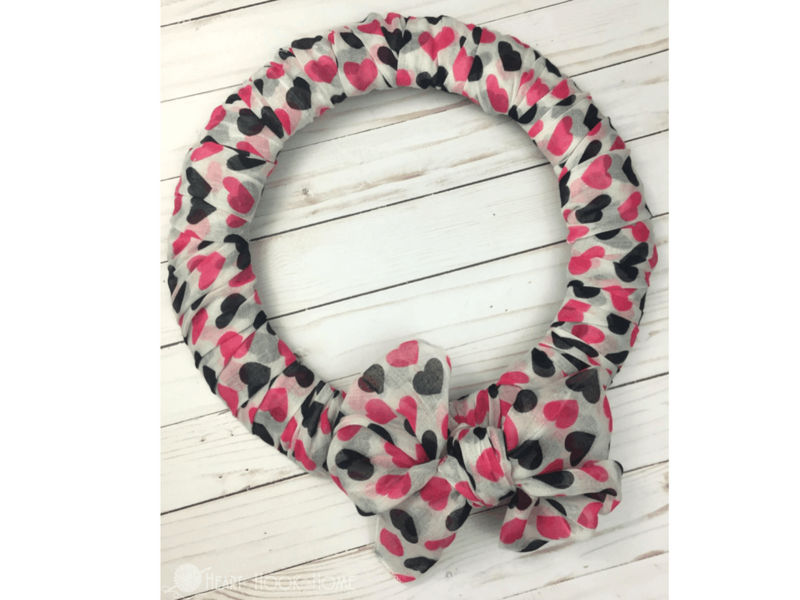 Use the last scarf to fashion a bow. I folded mine in half before tying around because it was too long and floppy in my first attempt. 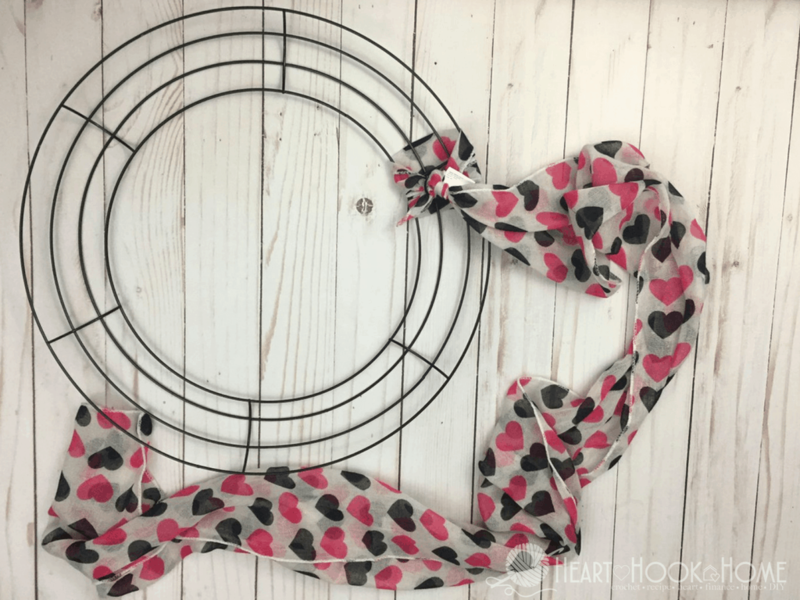 I just tried this with the heart wreath frame. Cute. Thanks for that inspiration. Hi. 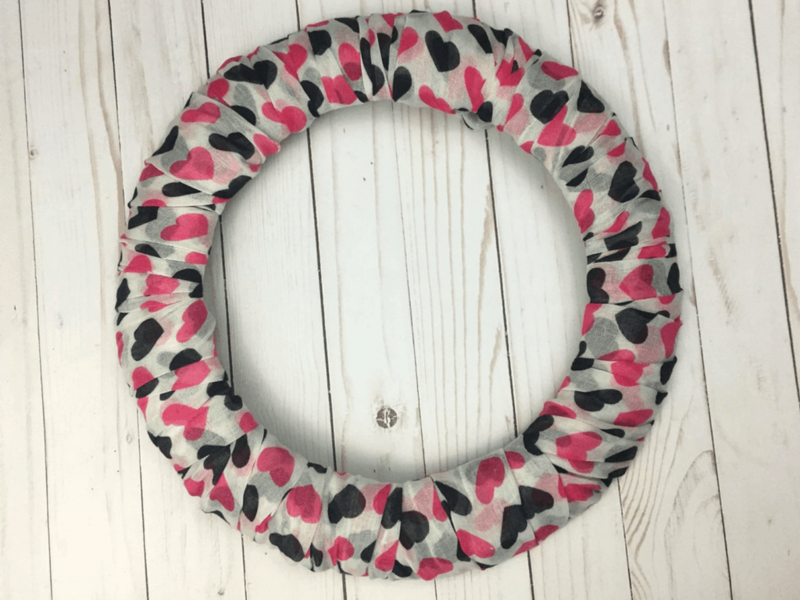 Our Derby Dollar Tree has heart shaped wreath forms right now!